Has your children wanted the gift of bouncy fun this year? Well you are in luck because I have the perfect gift for your child. The Little Tike’s 7 foot trampoline is the perfect gift for your young three year old all the way to your older ten year old! This trampoline is very special because of the different age range that can fit in the trampoline. You can have your toddler or preschooler or even your elementary schooler play on this trampoline! This trampoline is truly for kids and you can tell that right away with one glace. This will help your kids get off the video games and outside jumping and bouncing away on their new trampoline! What makes this trampoline special? Other kid friendly trampolines don’t have many safety features but the Little Tikes 7′ trampoline has great safety features. One of the main features of this awesome trampoline is that there is netting on all sides of the trampoline. This will provide your child with safety if they fall they will get caught by the net instead of falling to the ground. The bars hold the trampoline up and in place and are completely padded so no children will be banging their head on any hard pole in this trampoline. Another great thing about the Little Tikes 7 foot trampoline is that it is built to with stand outdoor elements such as wind, rain, and even thunderstorms. This trampoline has a hard study plastic frame and steel poles which are padded for safety; but all of these elements keep the trampoline sturdy and in place while your children are playing! The jumping area in trampoline measures 21.65 sq. ft. The trampoline has a height of 17 inches. Recommended for children 3years – 10 years of age. Hand blown plastic to keep the trampoline sturdy. Netting around the entire trampoline keeping your child safe. Pad protector on springs and poles! The age requirements for this trampoline are around three years of age to ten years of age! It is fun for really all ages of children but it does have a 100 pound weight limit! So please keep the bigger kids off the trampoline so they don’t tear the netting! Some parents have gone on the trampoline with their children and jumped with them but it is highly not recommended because they could destroy the trampoline for their children. If you follow the guidelines your Little Tikes 7 Foot Trampoline should last for years and filled with fun for your children! The Little Tikes 7 Foot trampoline provides many features for your children that are just amazing for the price! The safety features you get we talked about some above but are absolutely state of the art! This trampoline comes with a safety enclosure for your children while they play so they don’t fall off of the trampoline. This trampoline has an easy adjustable zip close door for your children to get in and out of. It is great that it is not snap because the zipper won’t fly open while bouncing or running into it. Another great feature is the storage compartment under the trampoline. This is a mesh bag connected to the trampoline where you can store jackets or shows before entering the trampoline. Remember you can’t wear shoes on the trampoline because it can ruin the mesh. The bottom of the Little Tikes 7 Foot Trampoline is mad with hand blown plastic that is very sturdy! This will support the entire trampoline and your children while they play! 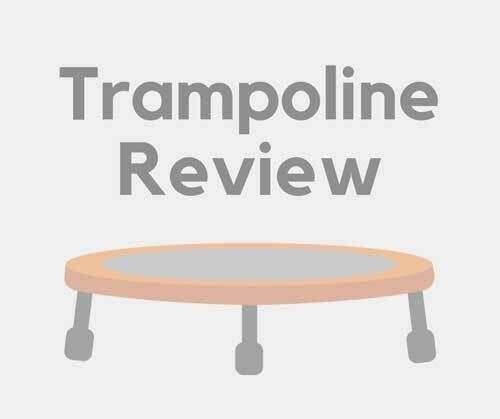 There have been no concerns in reviews of any issues with the support of the trampoline! Lastly another great feature that the parents will love is that the Little Tikes 7 Foot Trampoline promotes active play! This trampoline will no doubt get your children running outside playing for hours! Active play is a key thing for children and this helps younger kids sensory and motor skills development. Many people are saying that it has provided an immense amount of fun for their child to play on! People are saying it’s absolutely great for little kids and that they wish that they had bought this trampoline sooner! There were reviews saying that some of the pieces fad in color after a few months which can be concerning when buying something for younger children. You don’t want the piece to dry out and fall off. Some reviewers have said that older children around 10-11 have found their trampoline to have more wear and tear on it such as some ribs in the netting/ trampoline. Again it could just be that those children are over 100 pounds and can’t fit in that trampoline anymore. Little Tikes 7 Foot Trampoline is absolutely a great buy especially if you have kids younger than five years of age. It will promote exercise and great sensory play for them! It provides top of the line safety features for kids and comes with many different features providing even more value for you and your family. You can always use this trampoline in the house or outside it is meant for both and if you do keep it outside it is weather resistant! If you’re looking for something fun and bouncy for your children that provide safety then you need to check this trampoline out! If you have any questions about this products please let us know down in the comments below!